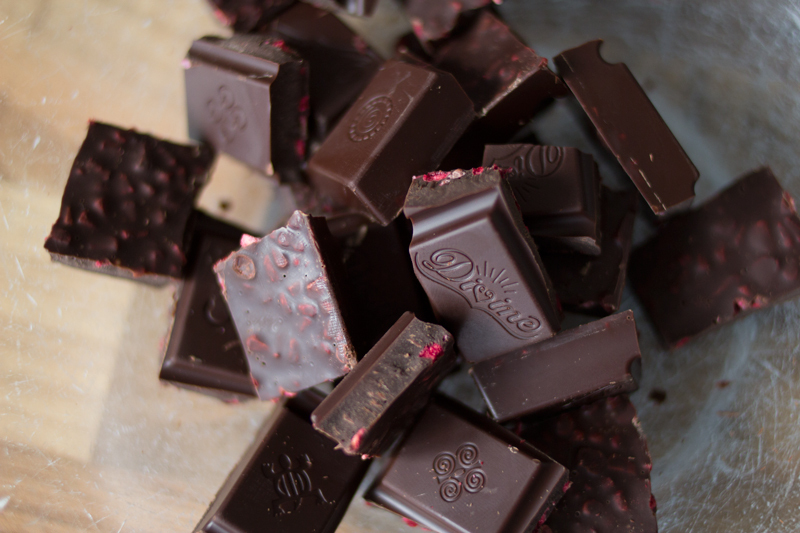 Fruity, creamy, sweet chocolates are synonymous with Valentine's Day and are always the sort I would automatically reach for if given half the chance. The downside with this is the inevitable failure to stop before I feel particularly unwell. Yet again, I felt compelled to find a recipe that satisfied the need for these types of treats, but with much healthier ingredients that would still make a wonderful gift for a loved one. 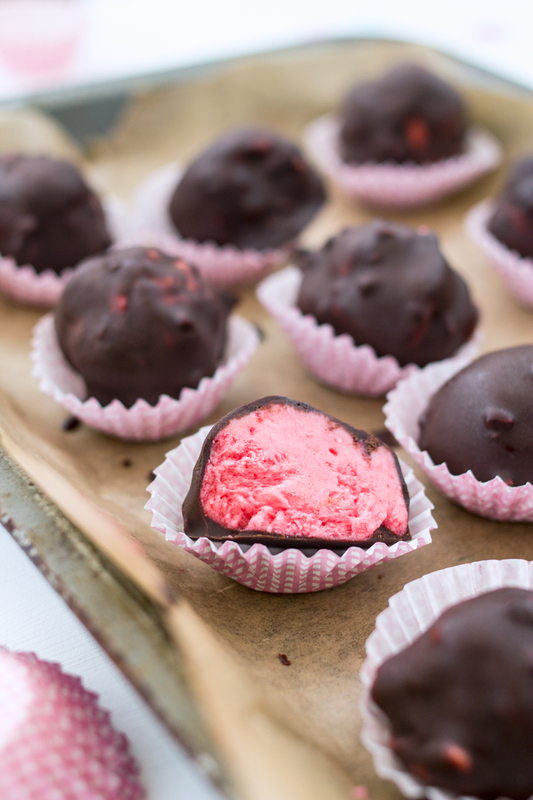 I was inspired by this recipe as I was intrigued by how coconut butter could replace the decadent double cream and butter that you would usually find in truffles, plus I'm always keen to make sweets that use fresh fruit. 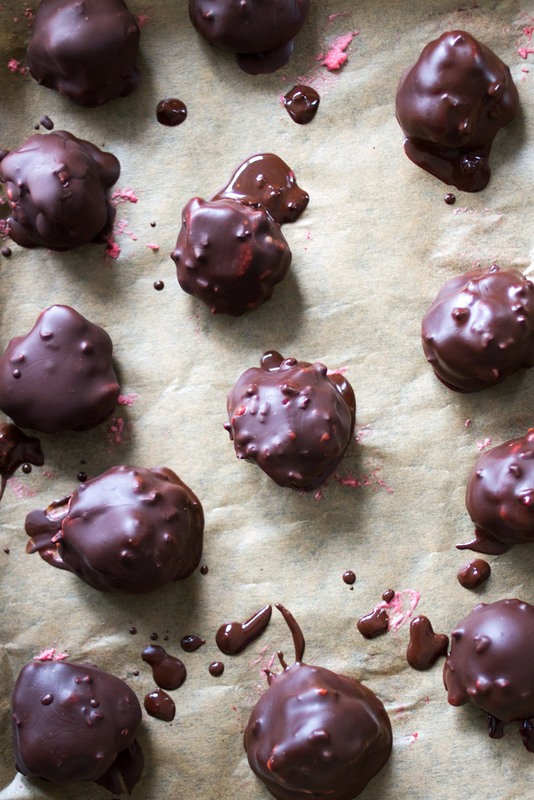 What I ended up creating surprised me with how indulgent they taste, despite being a considerably healthier alternative to traditional fruity chocolate truffles. 1. 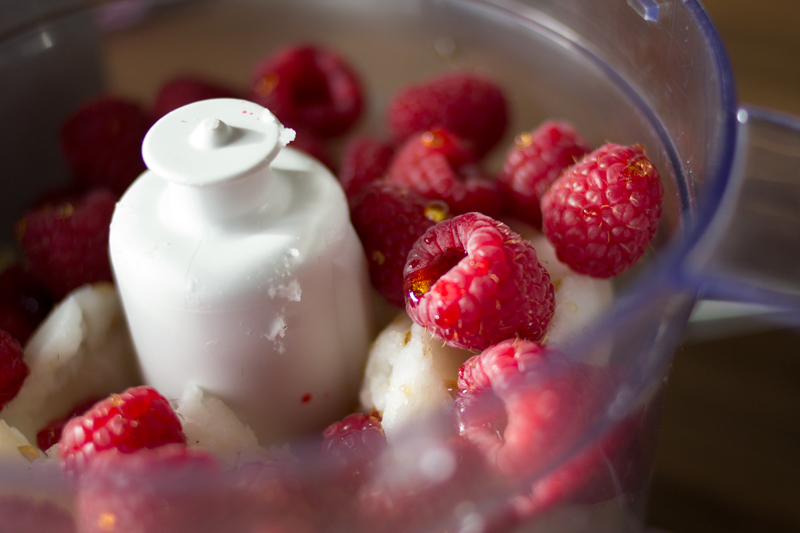 Add the coconut butter, raspberries and maple syrup to a food processor and blend until thoroughly incorporated. You may have to stop to scrape down the sides with a spatula to ensure all of the coconut butter is broken down. 2. 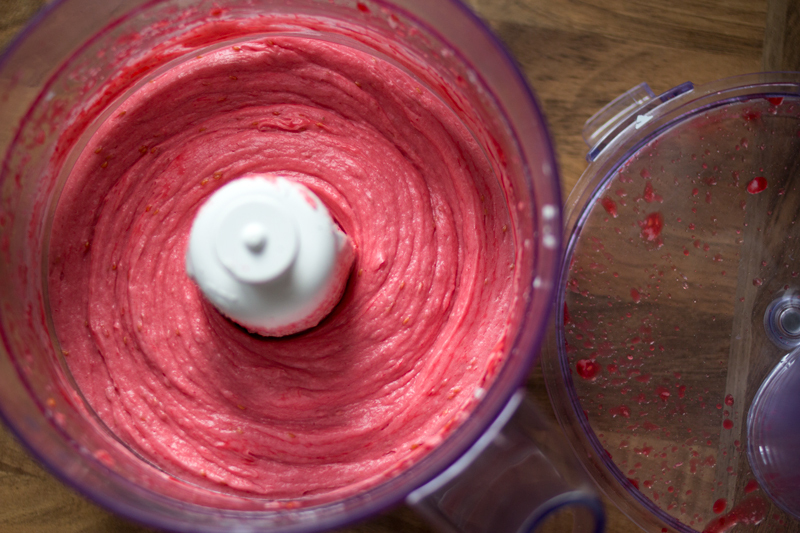 Place the mixture in the freezer for about 20-30 minutes to firm up and make it easier to handle. 3. 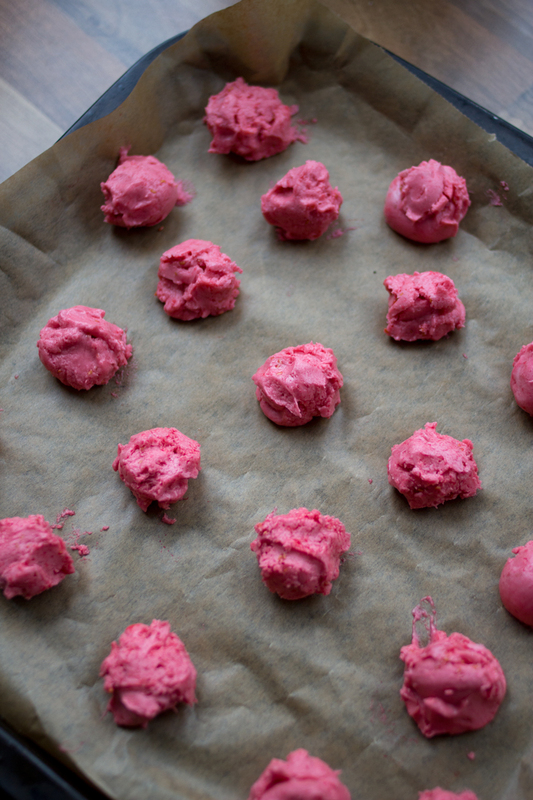 Line a baking sheet with baking paper and scoop small balls of the mix onto the baking sheet using something like a melon baller or a teaspoon. Return to the freezer for 30 - 40 minutes. 4. 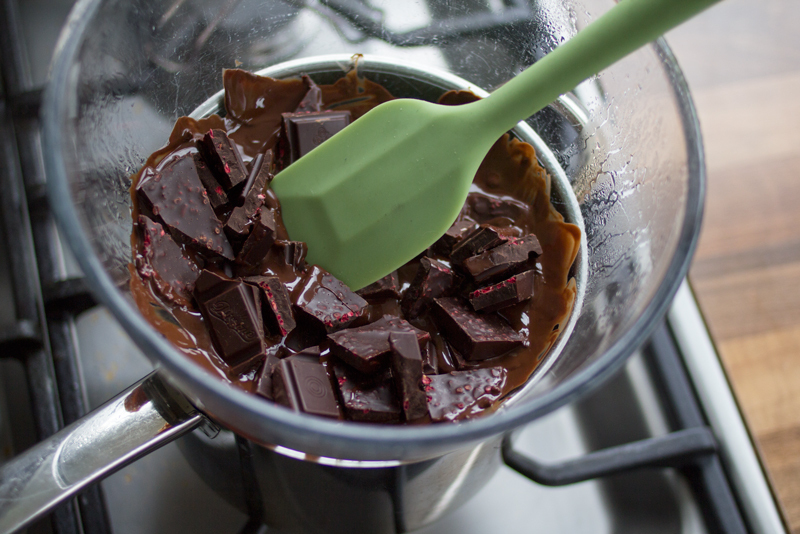 When the balls of mixture have about 10 minutes remaining in the freezer, start to melt the chocolate in a heat-proof bowl over a pan of simmering water. 5. 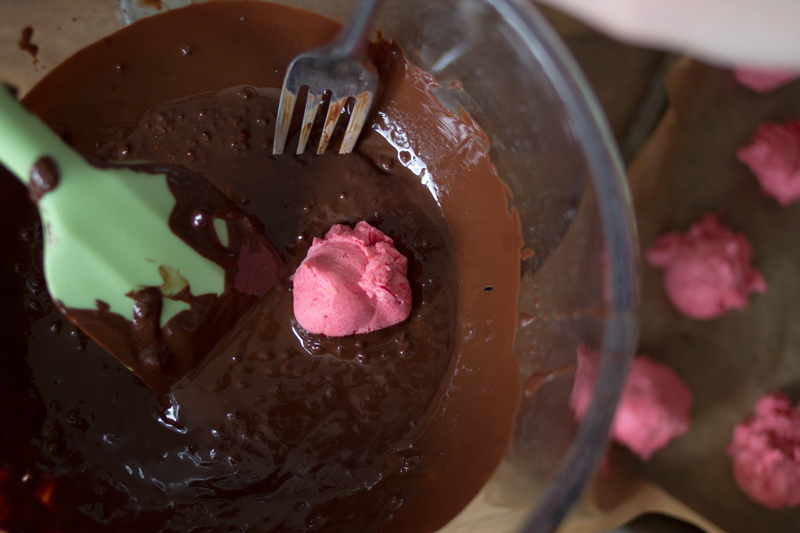 Take a ball of mixture with a fork and quickly cover in the melted chocolate, allow excess to drip off, then place back on the lined baking sheet. Repeat for remaining balls. 6. Return back to freezer until you're ready to serve, then leave out for a few minutes to allow them to soften slightly before tucking in. Spectacularly simple really! They're a bit rough and ready, but one of the most surprisingly delicious things I've ever tried making. Got to love a recipe with such few ingredients too! Remember if you do choose to try out this recipe, be sure to let me know on Twitter and I hope you have a lovely Valentine's Day this Sunday. Ooh these look so good. 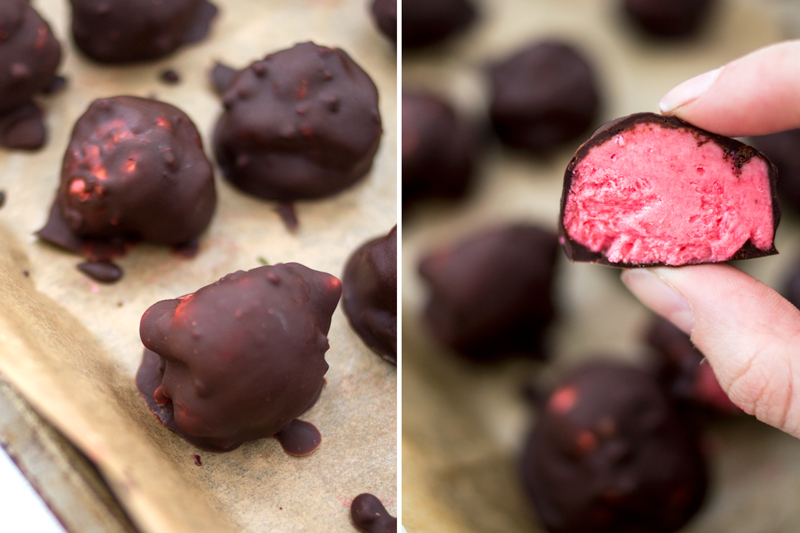 Definitely going to try making truffles with coconut oil sometime! What a brilliant idea.